A cappuccino is an Italian coffee drink which is traditionally prepared with espresso, hot milk, and steamed-milk foam. The name comes from the Capuchin friars, referring to the colour of their habits. My Capuchin friars had very dirty habits and my cuppa cappuccino looks like mochaccino (a chocolate cappuccino) and tastes like macchiato (an espresso with a little milk added) which looks more as if it came from a capuchin monkey than a percolator or even a perco-latte. Which bring us belatedly to a latte but, as they say in L.A., better latte than never. A latte is a coffee drink made with espresso and steamed milk. The English term is a shortened form of the Italian “caffè latte” or “caffellatte”, which means “milk coffee”. In Spanish it is a “café con leche”. In English, it is condensed to latte and, given the amount you are now charged for one, you can truly say that you get creamed more than the coffee and you can watch your money evaporate. You ask for skim and you get scammed. While some people, tea drinkers mostly, believe that coffee is froth with romance most of us who enjoy the Rituals associated with the brew are fraught with anxiety right now because the Brazilian crop has failed and prices will rise. In the case of Starbucks, which earlier this year already increased its prices on several of its flavours, the cost of a cup of Java will probably cost the whole of Indonesia and Sumatra and, like Vincent Van Gogh, will rise again. But coffee does have overtones and undertones. For example, Starbucks has four size options-tall (12 ounces), grande (16), venti (24), and trenta (31). Why all these name games? Dictionary.com says, “This designation by the coffee company is considered by many to be a classic instance of corporate language manipulation…The result arguably encourages a consumer to think a little less about the size of his or her beverage as well as the size of the bill. The size of the bill in a Starbuck’s or Rituals (a Caribbean chain) is interesting. Britain’s Telegraph newspaper says, “The most expensive ingredient in the drink is in fact the paper cup it is served in, researchers say. High street coffee shop chains spend twice as much on packaging as they do on the beans they use, analysis found. 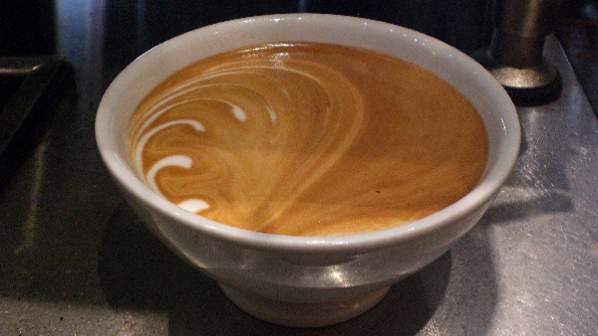 Despite the looming price rise, researchers generally have good news for coffee lovers. The Telegraph said, “But the price paid now still represented good value, they argued. Jeffrey Young, of Allegra Strategies, said: ‘The time that consumers spend in coffee shops is generally time well spent for them. Coffee is now a very big part of the social experience of British society. People spend a lot of time there [in coffee shops] and they aren’t paying for that time other than the price of a cup of coffee. Sometimes two or three people can get together and spend a few hours and can collectively spend a fiver. That’s extremely good value.’” They forgot the free Wi-Fi which makes it even better. The broadband is not only around the cup. Researchers have also found that drinking more coffee might lower your risk for type 2 diabetes and that people who boosted their daily coffee intake by more than one cup over four years reduced their diabetes risk, while adults who drank less coffee in that time frame saw their odds for diabetes rise. A web-site (Authority Nutrition) has identified thirteen health benefits from coffee. They include increased energy levels and intelligence; fat-burning ability; drastically improved physical performance; essential nutrients like riboflavin, potassium and niacin; protection from Alzheimer’s, Dementia, and liver diseases; prevention of depression; lower risk of cancers, heart diseases and stroke; and you live longer. It also smells good from far and is no longer to be considered far from good for your health. Recently I bought my own little machine that looks like a tiny electric kettle to make my own froth something I have been doing for years without needing a machine. It can make froth for a latte or a cappuccino. In the US, “latte” is associated with “Liberals” or left-of-centre politics. I drive a five-year-old, foreign-used Nissan Tiida. I am off the talk-radio radar and in Antigua, which has more than 365 beaches I live in a landlocked area. The “latte” bit for my froth-maker is still in the box. I drink cappuccino when I have time but I filter my own coffee which is generally from Kenya, Ethiopia or New Guinea. That makes me a black coffee drinker.